Plantar fasciitis is one of the most common inflammations causing heel pain. A thin, web-like ligament, called as plantar fascia, connects the front of foot to the heel to support arch of the foot and assist in walk. The stabbing pain occurs the first time after getting down from the bed in morning. Within sometime the pain decreases but returns back after standing for long duration or prolonged sitting work. Plantar fasciitis is the most common complaint among people who runs and jogs regularly without proper support to the foot. Also it is common among people who are over-weight. The ligament plantar fascia acts as a shock absorber and takes a lot of wear and tear. Excessive pressure damages these ligaments, causing inflammation and stiffness. Plantar fasciitis is most commonly found in women and in people in between 50 and 60 years of age. In such cases use Bauerfeind ViscoPed S Viscoelastic Insoles to help reduce shock loads. ViscoPed S insoles distribute and reduce local pressure loads, in the event of sole pain (plantar pressure pain) or deformities of the forefoot and toes. These insoles incorporate extra cushioning on the medial side where plantar fasciitis pain originates. It can be worn in walking, sports and work shoes. Also try Captain Adjustable Arch Support that is designed to alleviate arch pain caused by inflammation of the plantar fascia. The comfortable arch support provides direct compression to lift the arch to a natural position, helping to relieve arch pain, distribute pressure, reduce inflammation and prevent tearing of the plantar fascia tissue. It is always recommended to stretch and warm-up the muscle before any physical activity. This reduces the chances of any muscle damage. Use Medi-Dyne ProStretch Original Stretching System that has been proven to stretch lower leg muscles easier and far more effectively than conventional methods. This improved flexibility and range of motion helps relieve, rehab and alleviate plantar fasciitis, shin splints, tight calves, heel pain, strained calf, ankle weakness, fallen arches, inflexibility and achilles tendonitis as well as enhance overall performance. During diagnosis, doctors carry out a physical exam to test the tenderness in foot and to determine the pain location. Doctor also confirms that this pain is not caused by any other problem. The diagnosis may include flexing of foot while pushing plantar fascia to check if the pain gets worse. Any sign of swelling or mild redness will be checked as well. Sometimes the pain can be caused by bone fracture. An MRI or an X-ray scan can be necessary in such situations. There are many products available at healthproductsforyou.com that could ease and support while suffering from plantar fasciitis. 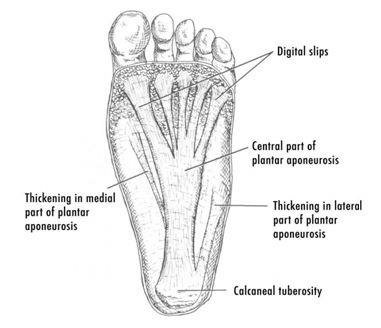 If you find out the early symptoms of planter fasciitis, it is recommended immediately contact the healthcare professional for optimum recovery.